The big news in 2016 was that CGT had selected New Braunels as the location of its first U.S.-based operations, with facilities currently in Canada and China. CGT anticipates creating at least 275 jobs and an $80 million capital investment. The eight-month process of recruiting the company to New Braunfels is a great example of the teamwork, persistence and effort it takes to bring high-quality jobs to our community. The process began in March 2015 in San Antonio for the initial introduction to the project. In May, four New Braunfels sites were submitted for consideration to compete against sites in two other countries (Mexico and Canada) and three other states. In July CGT first visited the New Braunfels site and announced that they had narrowed it down to one other country, two other states and five total sites still in the running. 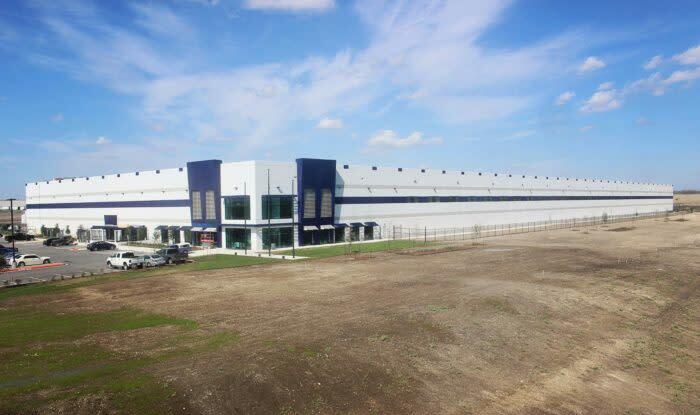 Later in July the Titan Industrial Park was chosen as the lone New Braunfels site. In August, CGT representatives flew into the New Braunfels Regional Airport to make their second visit and were provided with a tour of the development site and the community. In September, the New Braunfels site was chosen as one of three sites still competing, which included two sites in Texas and one in Louisiana. In late September, the New Braunfels site was chosen as the only site in Texas but was still competing against a Bossier City/Shreveport site who offered $25 million in incentives. On September 30, a delegation of New Braunfels representatives, including the Mayor, City Manager, Chamber President and Vice President of Economic Development, and Titan Development representatives traveled to Cambridge, Canada to visit CGT’s headquarters. Finally in October, after eight months of work, CGT chose New Braunfels as the home of their new facility and Governor Abbott announced a $2 million Texas Enterprise Fund grant to CGT. On January 5, 2016, CGT, the Governor’s office, and the New Braunfels Chamber made the announcement public. CGT has been in business since the early 1900s and has total sales in excess of $300 million with more than 400 employees company-wide. The company manufactures and supplies coated fabrics and films for automotive and industrial applications globally. The New Braunfels site may have the potential to add additional manufacturing and product lines. The New Braunfels site will be more than an $80 million investment cumulatively, divided into multiple phases, and will utilize 28 acres of the planned 96-acre Titan Industrial Park. With total local revenues of $3,072,000 and a net fiscal benefit of $1,972,000, the incentive payback period is only 4.1 years. The City will begin seeing benefits from the project on day one and in the project’s second decade, total net benefits will exceed $6.1 million. CGT’s New Braunfels facility will hold it’s grand opening on Tuesday, May 16th with a Meet & Greet, Official Ceremony & Ribbon Cutting, and Facility Tours.